Nearly 80% of Bulgarians would like to spend more time in the mountain. Pure air, tranquility and the ability to recharge from the everyday stress in the city are the main reasons that make urban people look for contact with nature, which is lacking for over 2/3 of Bulgarians, a recent study conducted by Alfa Research in March 2017 among urban population in Bulgaria shows. 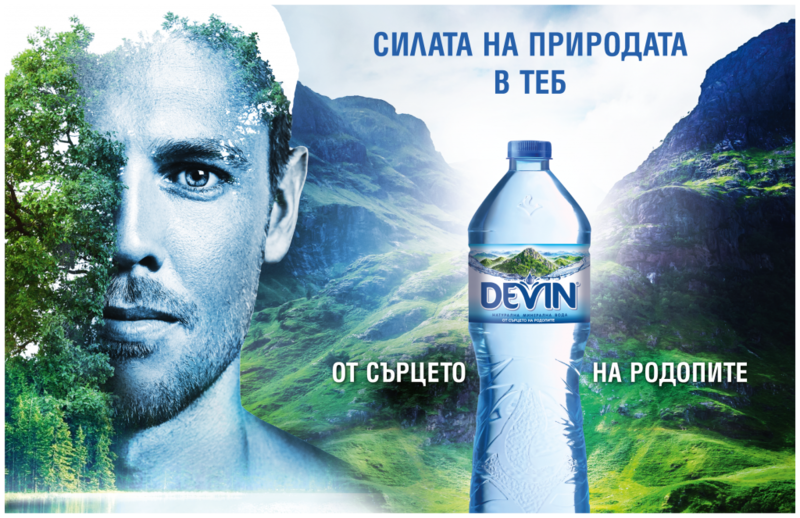 The Rhodope Mountains are the main scene of action in the new communication campaign of DEVIN Mineral, dedicated to the connection of urban people with nature. The campaign tells the story of the origin of mineral water which comes from the heart of Rhodopes and brings the energy and power of the mountain.